In the new MBC ‘Section TV Entertainment News’ show that aired yesterday unveiled the interview with the member of Astro Group, Cha Eun Woo. On that day, Cha Eun Woo who was interviewed said that “I want to starred in the historical drama and melodrama. I also want to try melodrama that gives off a refreshing spirit and a sweet romance in uniform” he said. 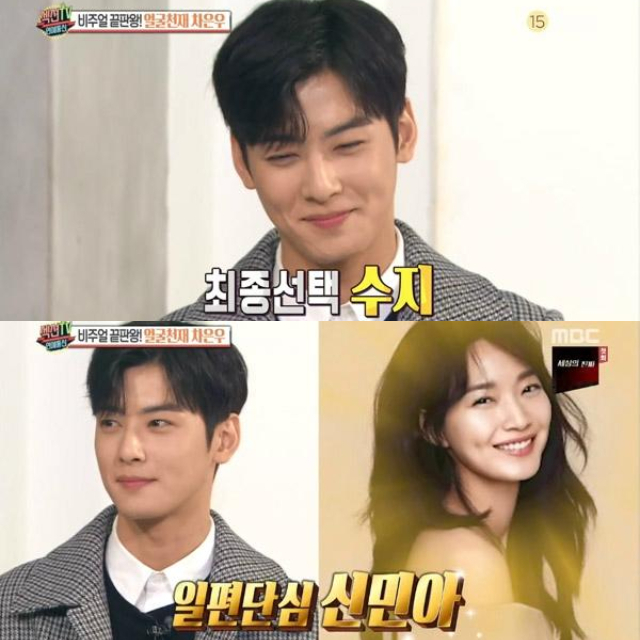 Cha Eun Woo during the world cup stated that his ideal type is Suzy and previously his ideal type was Shin Min Ah, when asked about who he wanted to be in drama with he said that he would like to work with the two actresses. Cha eun Woo said “I would like to work with Shin Min Ah in the historical drama and I would like to work with Suzy in some school-based melodrama” he said.